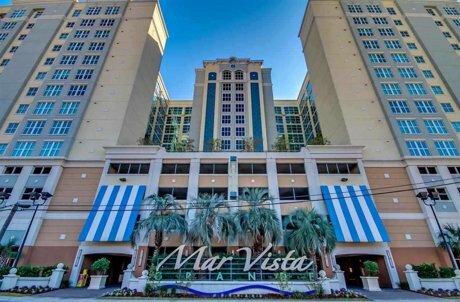 Mar Vista Grande is a luxurious oceanfront condo resort located in the famed Ocean Drive section of North Myrtle Beach. Mar Vista Grande sits on one of the widest stretches of beachfront along South Carolina’s magnificent Grand Strand. Combined with the area’s unrivaled variety of attractions and activities, this is the perfect beach resort for those looking for a vacation home or an investment property. This beautiful resort offers spacious and extremely comfortable three and four bedroom condominiums and a variety of great amenities which include a lazy river, two soothing hot tubs, a sparkling indoor pool, an outdoor oceanfront pool and tiki bar, a kiddie pool, and a state-of-the-art fitness center that features a full range of equipment for staying fit and healthy. 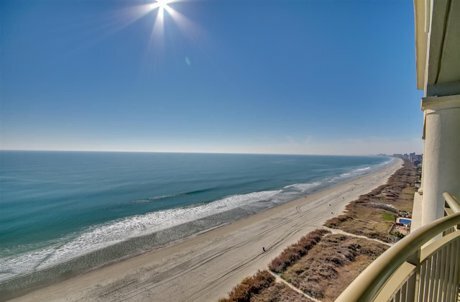 For more information about Mar Vista Grande condos for sale or any other North Myrtle Beach oceanfront condos please contact us today at 843-424-6900. Similar oceanfront condos include Margate Tower at Kingston Plantation and Island Vista Resort.